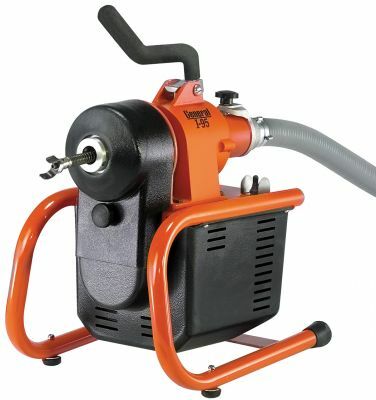 Here’s a sectional cable machine that drives 7/8″ and 5/8″ sections – or even 5/16″ cables for small drain work. 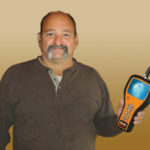 You can switch from 7/8″ to 5/8″ and back by repositioning the chuck cone. No adapter required. Attach a small drum to the back of the machine to drive smaller cables. The I-95 gives you more than versatility. It gives you power and convenience. The motor is a 1/3 hp capacitor type, so it delivers plenty of torque to the cables. Yet, as soon as you lift the drive handle, the cable stops rotating, so there’s no additional torque build up. You also use the drive handle to carry the machine. 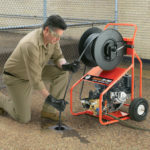 And when the I-95 is in position on the job, its four point base gives it rock-solid stability. 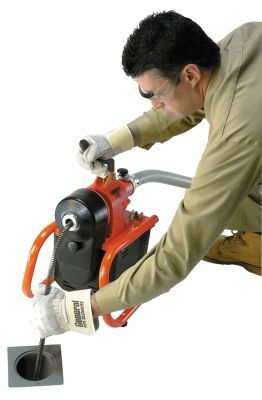 A cutter holder is attached to the back so your cutting heads are always with the machine. A ground fault circuit interrupter is standard equipment. 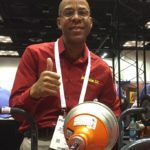 Drives both 5/8″ and 7/8″ sectional cables up to 150 ft. down the line. 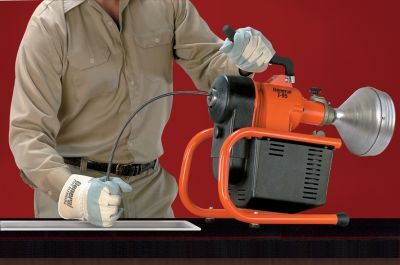 Change cables in seconds—no tools or adapters required. The I-95 has a wide four-point base for greater stability. Its interlocking tubular construction also gives it excellent durability. A ground fault circuit interrupter is standard equipment. 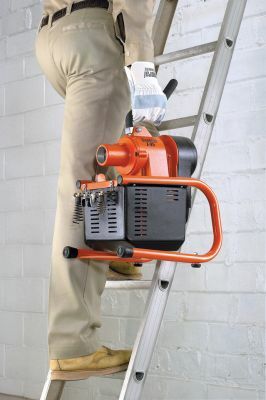 The drive handle doubles as a carrying handle and the machine is compact and light enough to carry up to the roof. Smaller 5/16” Flexicore® cables (Cat # 25HE1-A) can be used with an optional drum to clear clogged sink lines and other small 1-1/4” to 2” drain lines. 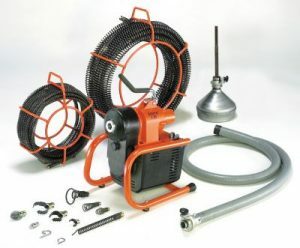 Accessories include cable carriers, drums for small drain work, a rear guide hose, and a toolbox (standard on 7/8” cable units). I-95, plus six 7-1/2 ft. x 5/8″ sections (7.5R8), an SCC small cable carrier, and an R-8CS cutter set. I-95, plus five 15 ft. x 7/8″ sections (15R10), a CC cable carrier, R-10CS cutter set and a tool box. Same as I-95-D, plus small drum (95-25A) with 25 ft. x 5/16″ cable (25HE1-A) installed. 1/3 hp with forward-off-reverse switch, ten foot power cord, and ground fault circuit interrupter. Has two sets of notches; one for 5/8″ cables and one for 7/8″ cables. Switch from one diameter to the other in seconds. 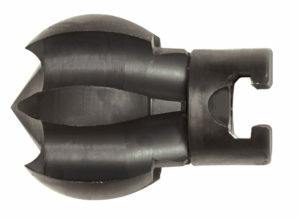 “T” slot couplings slide together to lock and uncouple with a pin key. (50 mm – 100 mm) lines up to 150 ft. long. Arrow Head, Boring Gimlet, 1-1/2″ U-Cutter and Retrieving Tool.